Actuarial courses for insurance professionals that explain complex concepts in simple language. Our training courses provide a timeless foundation. MatBlas is the leading training company providing technical, statistical and actuarial courses to insurance professionals in all areas of business. Since 2007 we have trained over 4,000 insurance professionals working in the C-suite, underwriting, actuarial, claims, finance and accounting, compliance, risk management, internal audit, IT and Human Resources. 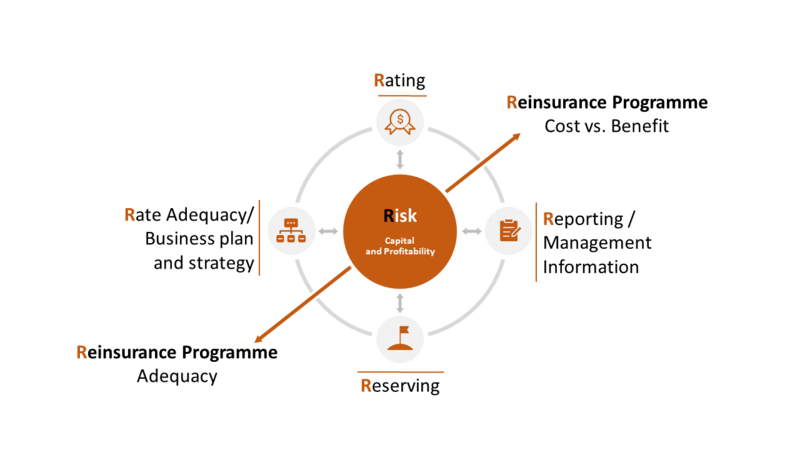 Our training courses provide a timeless foundation that allows insurance professionals from all areas of the business to understand how the five R’s of insurance: Rating, Reporting, Reserving, Reinsurance and Risk are connected in the underwriting management cycle. I enjoyed the course a great deal and would recommend it to anyone operating in the London Market who would like in depth insight into the techniques used by actuaries today. 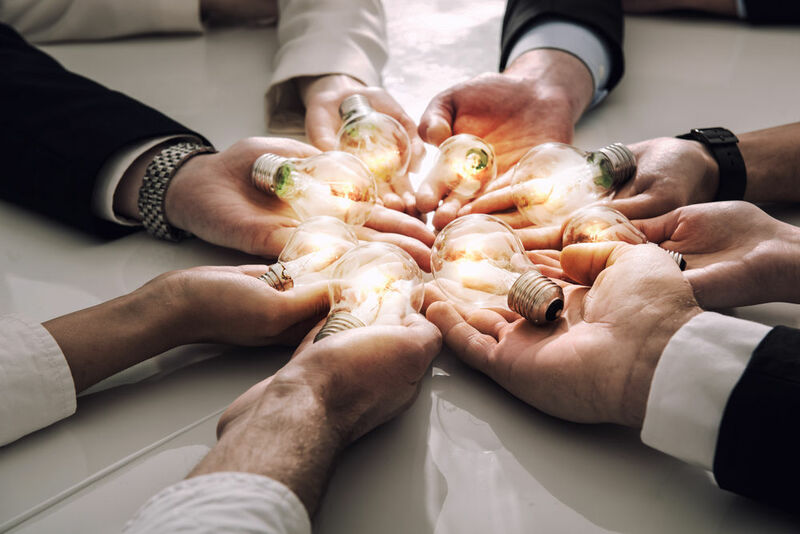 When every insurance professional understands how all areas of the business fit together, not only they are better able to do their job, but it also it increases communication and collaboration between all departments, ultimately saving time. Since we started operations, we have provided training and coaching to over 75% of Lloyd’s Syndicates as well as Insurance and Reinsurance companies in London, Europe, Bermuda and the USA. We work with clients designing bespoke courses that fit their business processes and internal terminology. Visit our testimonials page to see what prior delegates have to say about our training courses. Our Training Brochure provides you an overview of what we cover in our standard courses. Get in touch if you want to find out more how we could help you plan and deliver the technical courses your team requires. The majority of our work is with underwriters of all levels of experience. To improve their pricing skills and knowledge in order to enhance their pricing framework and models. To better understand how pricing is linked to the other areas of actuarial work: reserving, reinsurance, reporting and capital modelling. To better understand what is required from them to comply with Lloyd’s Underwriting Minimum Standards. As a technical foundation for those starting a career as an underwriter. Fundamentals of insurance pricing: provides a foundation to key aspects of insurance pricing. Basic statistics for insurance professionals: demystifies statistical concepts used in insurance. Basic actuarial concepts for non-actuaries: an introduction of pricing, reserving and capital modelling. Reinsurance pricing in practice: a solid foundation of pricing methods in reinsurance. Quantitative techniques for underwriting management: a course for managers covering pricing, reserving and capital modelling. Excellent explanation of relevant course material. We work with chief actuaries and actuarial managers designing training programmes for members of their team based on gaps in skills identified in performance reviews or providing them the skills and knowledge required for a specific project. tasks in between sessions that allow delegates to implement the techniques learned. Get in touch to discuss your team’s requirements and to find out more how we can assist you putting together a programme for your team. One-on-One courses are tailored to the internal processes and report of each company. When underwriters are promoted to management and executive roles they often find themselves out of their depth in areas such as accounting, reserving, capital modelling and solvency regulation. In the last few years we have seen an increased trend in request for one-on-one training and coaching for C-level executives and senior management who want to better understand what actuaries do, how they do it, how figures are presented, key assumptions underlying the results and data and assumptions flow through each part of the cycle: pricing, reporting, reserving, capital modelling and business planning. One-on-One courses are tailored to the internal processes and reporting of each company; delegates often bring specific reports that they would like to better understand and analyse. The sessions provide an overview of the technical aspects of the topic, followed by relevant examples; there is also sufficient space and time for delegates to ask questions. The sessions are held in complete confidentiality and may be subject to a Non-Disclosure Agreement. If you are in an executive role and avoid asking questions in meetings because it is assumed that you “should know” it, then do not hesitate to get in touch, in complete confidentiality we would love to help you acquire and develop the knowledge that you need to excel in your role. Our Actuarial Courses for Non-Actuaries are the only courses that provide insurance professionals a thorough insight into what actuaries do without complex formulae. Our foundation courses are ideal for insurance professionals working in support functions such as claims, finance, accounting, IT, compliance, internal audit and human resources. The courses do not assume prior knowledge and start by providing an overview of insurance operations, the market and the complete underwriting cycle from rating to reporting to reserving to why companies buy reinsurance and how companies prepare the business plan. Suddenly many concepts I have come across in my 13 years of insurance became clear. I especially found the capital modelling extremely useful – even though my actuarial colleagues tried to explain some of the concepts to me, I did not have the full picture. Our foundation courses are ideal for insurance professionals working in support functions. You provide the lunch we provide the learning. You provide the lunch we provide the learning, it’s that simple! A few times a year we offer complimentary in-house lunch and learn sessions to companies that contact us looking for a short session on basic actuarial concepts for a team building or for their lunch and learn series. The sessions last 90 minutes and the topics often include pricing and reserving as well as other topics of interest such as Solvency II and Insurance Regulation. To check if we have any availability for one of these sessions simply get in touch. The P&C Insurance Digest™ is an online academy created to serve insurance professionals worldwide who want to enhance their general technical knowledge and to better understand what actuaries do. Courses are recorded and can be access from anywhere in the world. Each course is divided in short bitesize videos that users can access in their own time and at their own pace. Membership is free and gives you instant access to some basic courses at no cost to you. We also offer pay-as-you-go courses, personal and corporate licences. For a sneak peek of what The P&C Insurance Digest is all about click here. The P&C Insurance Digest™ is an online academy created to serve insurance professionals worldwide.